Theyskens Theory » I Mean…What?!? 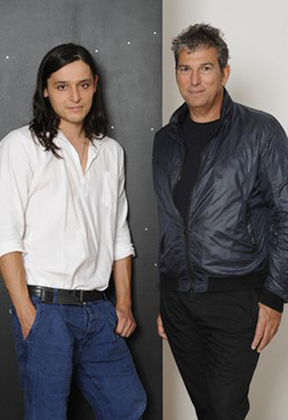 Will Olivier Theyskens and Andrew Rosen be the dynamic duo of New York Fashion Week? Who isn’t excited about the new collaboration between Olivier Theyskens and Theory? Theory is the massively successful brand has never had a designer personality spearheading the label. The success behind Theory, is the theory that great clothes are always in style and that cut, fabric and clean lines will never just be a trend. Good staples are the core of the Theory look and every girl I know swears by the cut of their pants. Trend schmend. The company is a force to be reckoned with, and next up, the Theyskens Theory capsule collection (though I hate the term capsule, a collection is a collection) will show in September, without fashion show fan fare, which is so smart. This will be one of the more sought after collections by press AND buyers even with all the hullabaloo about Lincoln Center and MAC & MILK. The anticipation will be palpable for what Theyslens Theory will present. Anyhoo..hats off to Andrew Rosen.